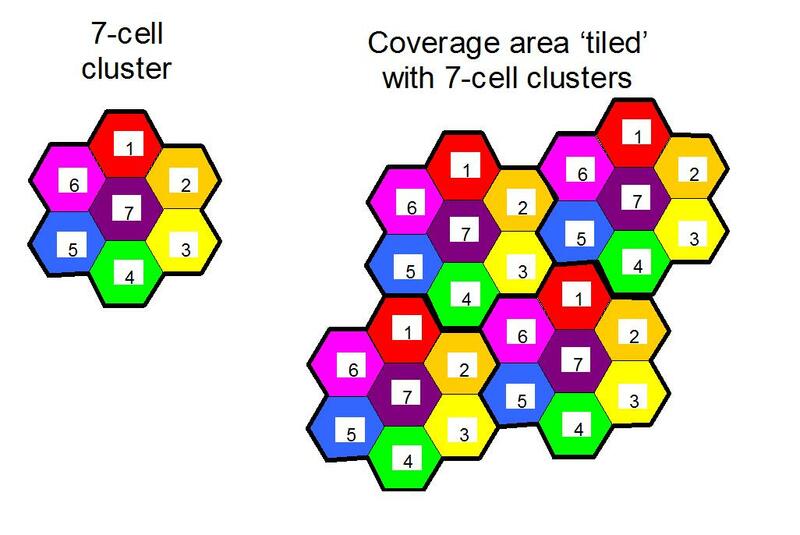 Hexagons in 3D – Is it time to update the defining image of the cellular industry? If you had to pick a single iconic image to represent the world of the mobile operator , it would have to be the hexagon. Much used in the early marketing literature of operators, the hexagon provided a simple representation of the area covered by a base station, and helped to illustrate how a limited set of frequencies could be reused in order to serve an unlimited number of users. This is the central ‘magic’ of cellular networks. More formally, a hexagon defines the region which contains points which are closer to one base station site than to any other if the base stations are arranged in a regular grid. Assuming uniform wave propagation conditions, it therefore shows the coverage area of the base station in the centre of the hexagon, i.e. locations where a mobile would receive and deliver a stronger signal to this base station than to any other. 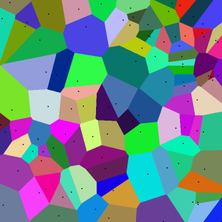 The hexagon is a special case of a Voronoi polygon, which contains the closest locations to any random selection of points. Real-world propagation conditions are never like that, of course; in practice the coverage area of a given base station is very irregular indeed. Nevertheless, the hexagon provides a useful idealisation – its six sides give an indication of the number of sources of interference which need to be considered when working out the total capacity of a basic cellular system. 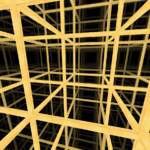 So the question arises: what is the equivalent of the hexagon in three dimensions? 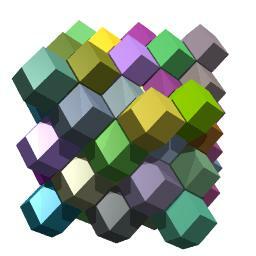 In the jargon, we are seeking a space-filling polyhedron. There exist various exotic candidate shapes (anyone for rhombo-hexagonal dodecahedra?). 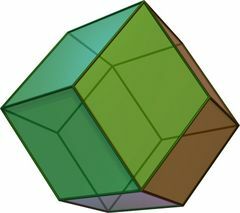 However, we don’t simply want a polyhedron which fills the space, but one which corresponds to a 3D version of the Voronoi polygon, enclosing the points closest to the antennas. If the antennas in a building are on a regular grid across each floor of the building, with antennas directly above and below each other on successive floors, then the Voronoi polygon is simply the humble cube. If the antennas on successive floors are offset between floors, so that an antenna is at the midpoint of its four nearest neighbours on the floor above, then a rather more interesting shape results. This arrangement is known to crystallographers as a body-centred cubic arrangement, for which the Voronoi polygon is the truncated octahedron. 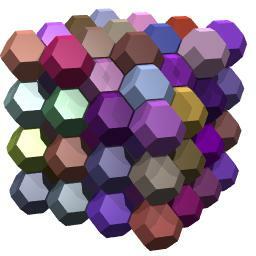 This has 8 regular hexagonal faces, 6 regular square faces, 24 vertices and 36 edges. Finally, we can contemplate arranging the antennas in a face-centred cubic pattern. 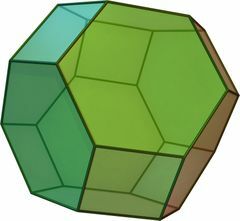 The Voronoi polygon in this case is the rhombic dodecahedron, with 12 rhombic faces. Of course, these patterns don’t relate closely to the reality of in-building propagation any more closely than the real world of outdoor macrocell planning. In particular, the high propagation losses involved in penetration through walls and floors will distort the relevant shapes hugely. Nevertheless, doesn’t an industry which has changed so much deserve a new defining image? Perhaps the truncated octahedron could fit the bill !